Looking for a quick, affordable Valentine’s Day activity for kids? 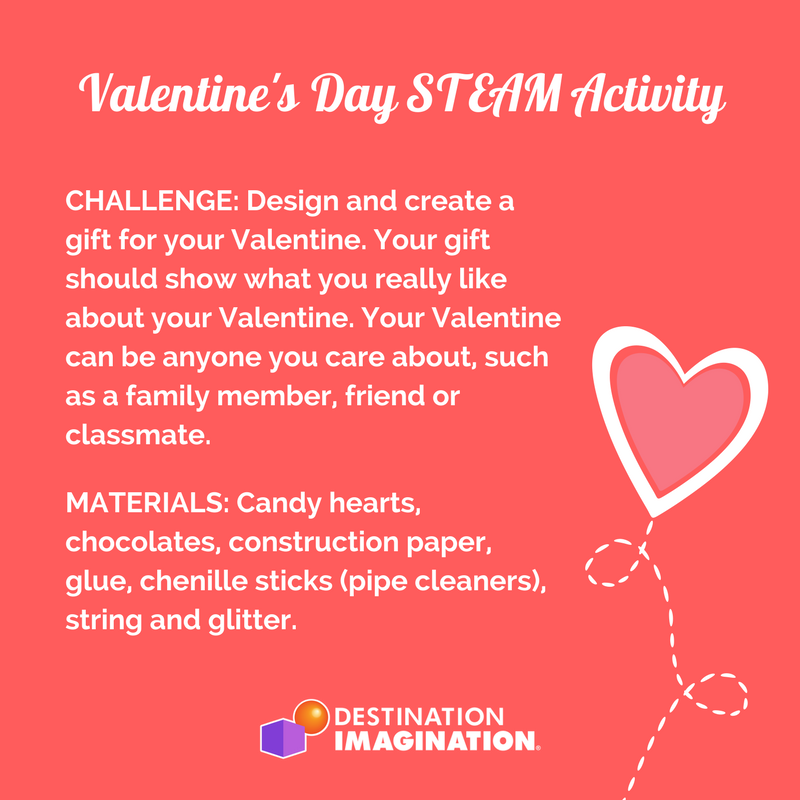 Check out our Valentine’s Day STEAM Challenge! For this Challenge, kids will design and create a gift for someone they care about, such as a family member, friend or classmate. Their gift should show what they really like about their Valentine. Materials: Candy hearts, chocolates, construction paper, glue, chenille sticks (pipe cleaners), string and glitter. Looking for more STEAM activities for kids? Be sure to follow us on Facebook, Twitter or Instagram.